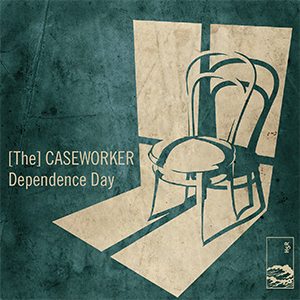 ‘Dependence Day’ is the new, freely downloadable single from garage-dreampop trio [The] Caseworker. The track is lifted from their forthcoming album Voices Out There, out through Hidden Shoal Recordings on 24 October 2013. ‘Dependence Day’ marries [The] Caseworker’s trademark restraint with a strident, slowburning melodic sensibility. A vague memoir to vocalist Conor Devlin’s time spent living in San Francisco, raising a toast to the city while also happily turning his back on it, the track’s atmosphere is ominous yet accessible, with its three-dimensional guitar melodies and crisp drums underpinned by sinuous bass and Devlin’s reassuring purr. The track is lifted from the band’s fourth album, and their second for Hidden Shoal, Voices Out There which sees [The] Caseworker rein in the lo-fi guitar-pop impulses of acclaimed third album Letters From The Coast to explore a more expansive, minimal sound, akin to Conor and Eimer Devlin’s previous band Half Film. The band maintain their enigmatic intimacy and atmosphere, while hinting at haunting vistas just beyond the horizons of these succinct, sad songs.